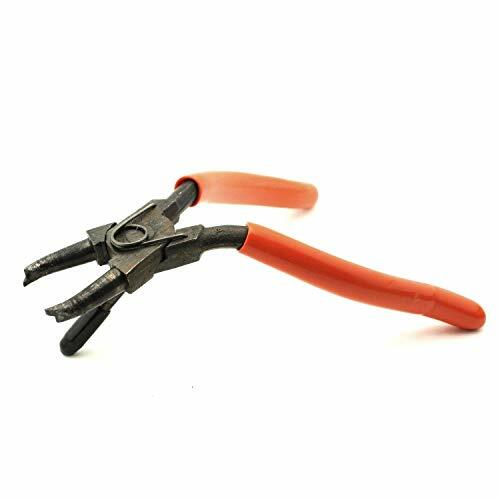 The Crescent CODE RED Nail Pulling Pliers are designed to pull nails in a variety of work environments. Capable of "Pulling" nails through wood in circumstances were the head of the nail is not accessible. These situations occur frequently in demolition and remodeling where nails need to be pulled for safety and rework. As simple as grip, roll and remove nails and staples. Simply grasp the (nail, staple, tack, etc) with the pliers and roll the head of the pliers to quickly and easily remove the fasteners. 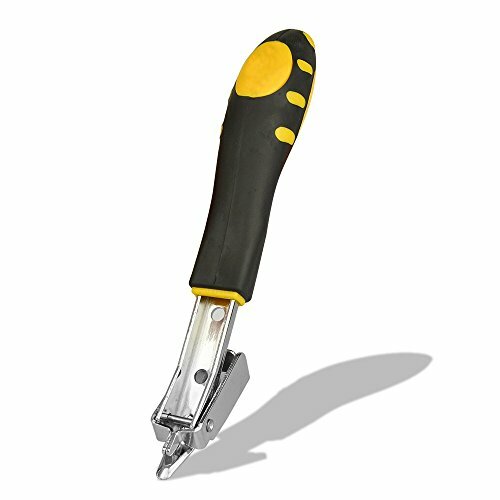 Perfect for applications in laying flooring and pulling up old nails, staples or tacks. Tackle your next project with Crescent's Code Red renovation and demolition tools, designed with input from industrial professionals as well as DIY enthusiasts. The Crescent NP11 11-inch nail pulling pliers are designed to pull finishing nails, floor staples, wire and coaxial staples, headed nails, brads, damaged fasteners, and pin nails. The dual handle make it quick and easy to grp, roll, and remove nails and staples. 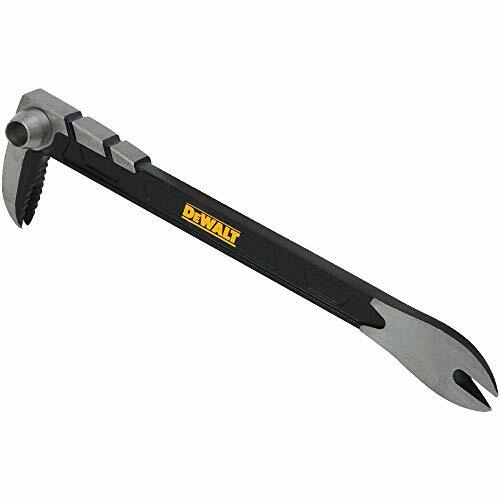 The durability of forged steel head and handles create a durable tool with rubber grips for comfort and control. Dual handles for quick, easy grip (view larger). Durably designed for renovation and demolition (view larger). Code Red renovation and demolition tools are designed around powerful innovations that enable you to attack renovation projects from the best angle, adjust your tool to fit the task, and get the job done faster and easier. And they're built to survive the toughest demolition jobs. 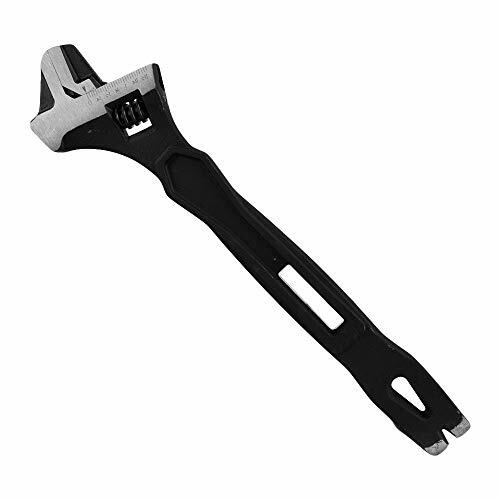 About Crescent Celebrating its 100th anniversary in 2007, the Crescent brand adjustable wrench is the flagship tool and a true American icon. It is prized by tradesmen and homeowners alike for its utility and durability. Today, Crescent offers many other high quality tools, including tongue and grove pliers, locking pliers, screwdrivers, and nutdrivers. 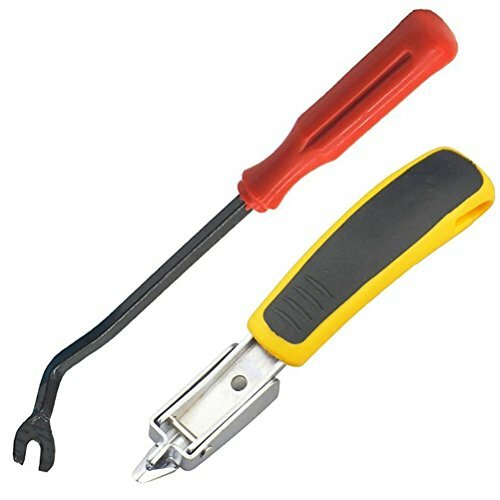 The functionality of the pliers allows you to easily remove nails from the front or back ot the wood. This is a bundle of 2 items. 1ea AP700 and 1ea of DAP700. Includes: - Punch Nailer / Nail Remover - Piston Driver Assembly - Operating Manual - Comes in cardboard box -- Details about AP700: Air Locker AP700 Heavy Duty Pneumatic Professional Punch Nailer / Nail Remover. Ideal for recycling wooden pallet or case. Powerful and well -balanced for easy maneuverability. Also, the comfortable rubber grip increase the feel of this air tool -- Features: This tool has sufficient power to push nails out of the work piece | Power and durable for continuous use | Its Rubber Comfort Grip reduces operator's fatigue | Punch / Remove or Sink nails between 10-20 gauge sizes | Light weight die cast Aluminum body -- Applications: Punching / Sinking Nails WARNING: This product can expose you to chemicals which is [are] known to the State of California to cause cancer and birth defects or other reproductive harm. For more information go to www.P65Warnings.ca.gov. This is a bundle of 2 items. 1ea AP700 and 1ea of DAP700. - Perfect for making a novice work like a professional on any project you tackle. 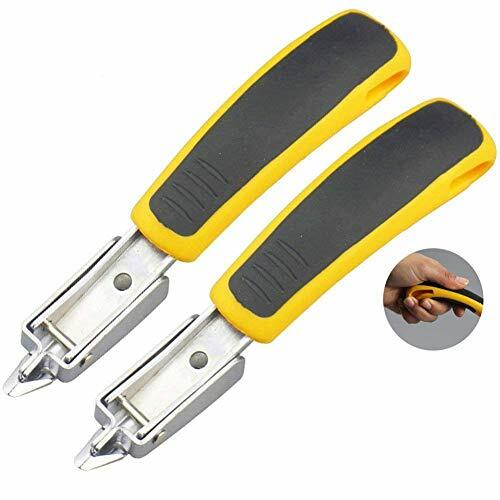 - Easily slips under and removes any size without breaking them and does the job much faster than pliers or a screwdriver. - Safe for furniture and floors with a smooth, flat head and no pliers, screwdriver or other tools are needed for removal. 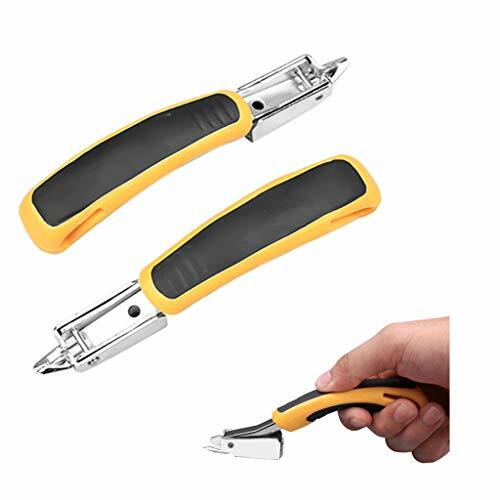 - Super lightweight yet durable hardened steel construction and uniquely curved, silicone lined handle protect your hands from undue impact, stress and pain. - Professional upholstery and office tool used for removing staples or nail from any item. - Perfect tool for taking off the staples from furniture, floors, wooden case, carton, photo frame, carpet and so on. - Quickly remove deeply embedded staples in your furniture, upholstery, wood, floor, industry, drywall. - Materials: Durable Hardened Steel. Make your repair project easy! 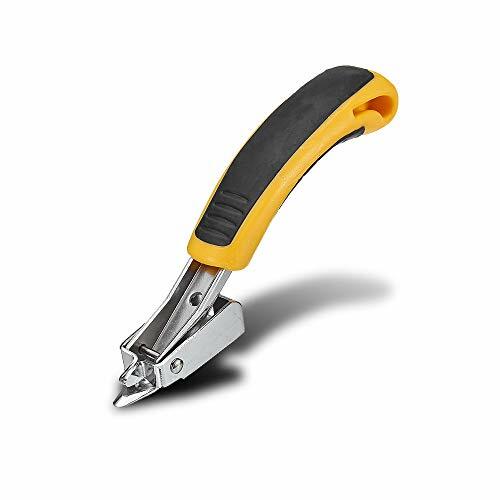 This staple remover can help you quickly remove deeply embedded staples in your furniture, drywall, insulation bearing studs, or virtually where-ever else you find them, helping you skip straight to the constructive aspects of your project. Don't waste time in preparation struggling to undo the work that has been done before you! Stainless steel head easily slides under staples, and rocker mechanism grips and pulls staple with minimum lateral force, preserving the condition of the underlying wood, and our high quality non-slip handle keeps you safe while working. Easily lifts and removes deeply ingrained staples. Save time and minimize damage to stapled surface. Stainless Steel lifting mechanism for easily lifting, gripping and removing staples. Ergonomic design with leverage feature for comfortable use. Made of S-5 grade steel invest casted with a built in circular saw wrench and can opener. Made of high quality steel, lightweight , durable and easy to carry. Super lightweight yet durable hardened steel and curved plastic handle can protect your hands against stress and pain. Quickly remove deeply embedded staples in your furniture, upholstery, wood, floor, industrial, drywall. Perfect taking off the staples from furniture, floors, wooden case, carton, photo frame, carpet and so on. 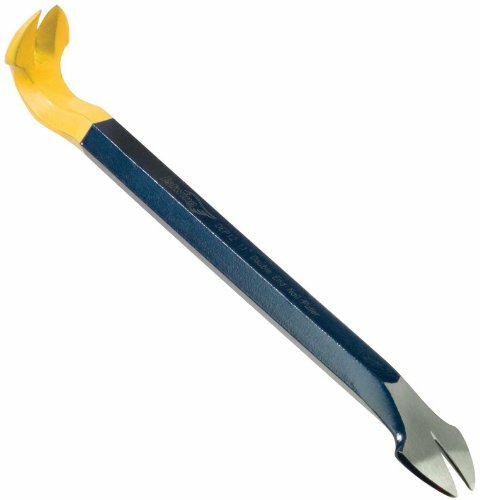 Estwing s 12" nail puller with attractive blue and yellow paint, has polished ends and is extremely strong and durable, this tool can pull a variety of fasteners. The nail puller claws are precise and sharp to remove imbedded or headless nails with ease and minimal wood damage. Shaped rounded head design gives you improved leverage. Precision thin claw design enables you to get into hard to reach places. 8, Molding Bar Scraper, Forged High Carbon Steel Bar, Heat Treated For Durability, Tempered For Safety, Polished Beveled Claw Allows For Precision Nail Pulling & Prying. Warranty: Stanley warrants this product to the original purchaser for its useful life (not to exceed one year for products with electrical or electronic components) against deficiencies in material and workmanship. This LIMITED LIFETIME WARRANTY does not cover products that are improperly used, abused, altered or repaired. Deficient products will be replaced or repaired. Replace composition shingles easily and accurately with PacTool s Roof Snake! With its unique offset nail-slot feature, the Roof Snake Shingle Nail Puller, Roof Shingle Installer helps you align new nails with the proper one-inch offset from the bottom-edge of your existing course. It also lets you install new shingles without over-bending or striking surrounding shingles (or fingers) with your hammer. 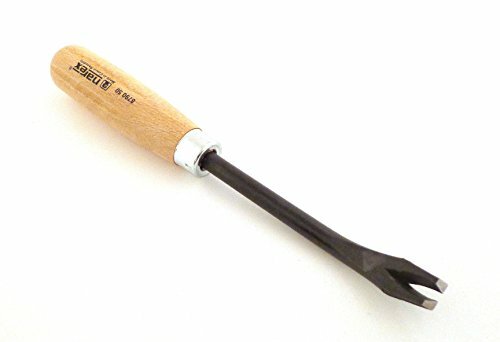 Add the roof snake to your tool collection and make composition shingle replacement a whole lot easier! Roofers, plumbers, and siders, take the bite out of replacing shingles with Roof Snake. 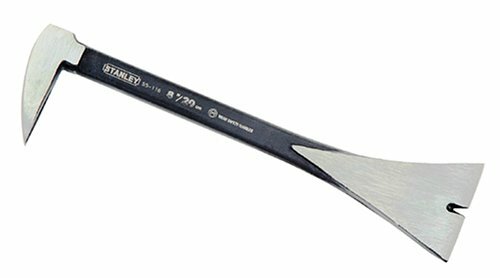 This handy tool allows you to nail replacement 3-tab style shingles into place without damaging the shingles on the row above, and it provides you with a useful tool for removing nails from roof shingles. Simply drive the claw end under the nail, and roll the nail out by twisting the Roof Snake. 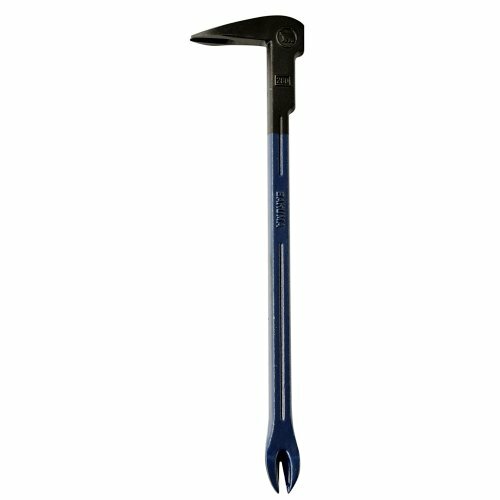 The Crescent 19-inch forged alloy nail Puller is a must-have for professionals and homeowners alike because of its utility and strength. 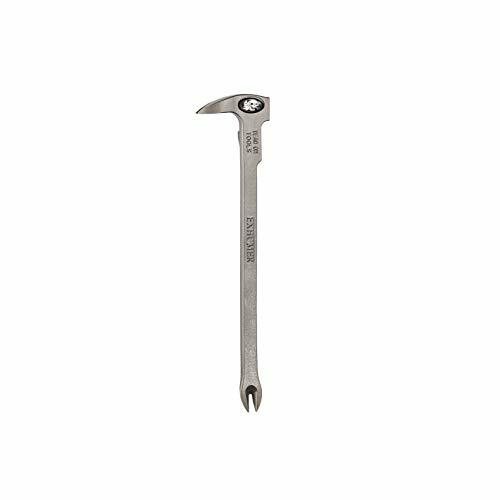 It features a box-joint design with a hardened, tempered jaw and forged alloy construction that is built to last under rough jobsite conditions. Ready to tackle flush nails, the design is available with either a long jaw or a short jaw, both of which have a black enamel finish for extra durability. allows tool to be very close to toilets or traps. 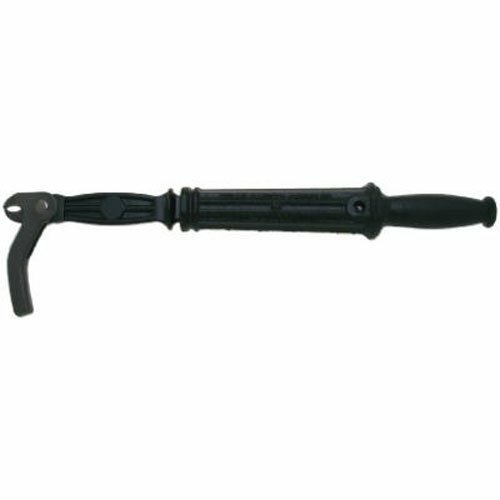 This item is Stiletto TICLW12 ClawBar Titanium Nail Puller . Used for Handtools & Tool Organizers, Nail Pullers. The produt is manufactured in China. 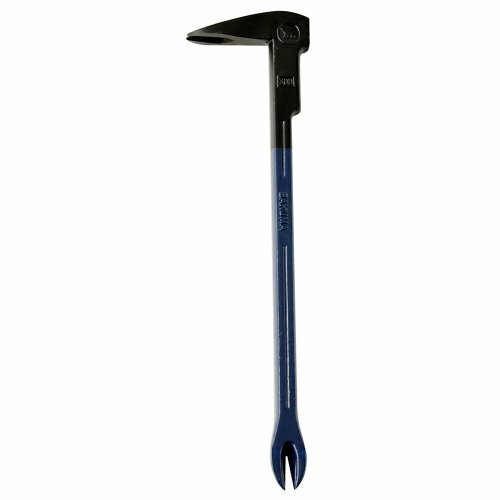 This tack lifter is made by a small tool manufacturer in the Czech Republic and is of exceptional quality. It has 5/16" (8 mm) diameter blade that flares to produce the tongue. Tongue is ground and not stamped or molded. The blade if made from carbon steel which is hardened and tempered. Handle has a metal ferrule to withstand torque. Overall length is 8". 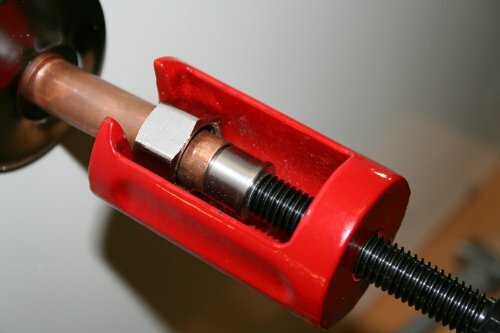 Handle has a metal ferrule to withstand torque. Overall length is 8. EASILY EXTRACT HARD TO REMOVE NAILS -The Rounded Head Design Gives Maximum Leverage For Nail Extraction. 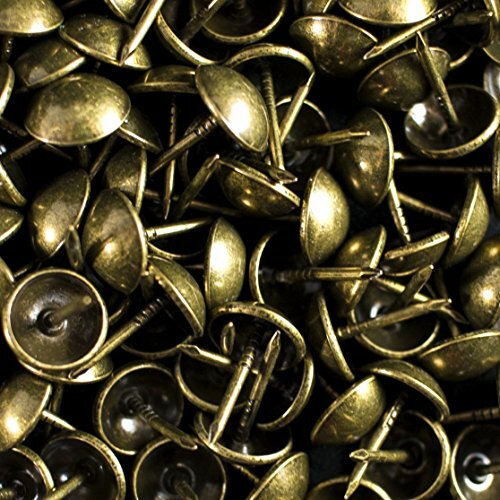 FLAT STRIKING SURFACE - Allows Claw to Be Driven Under Deeply Embedded Nails and Fasteners. 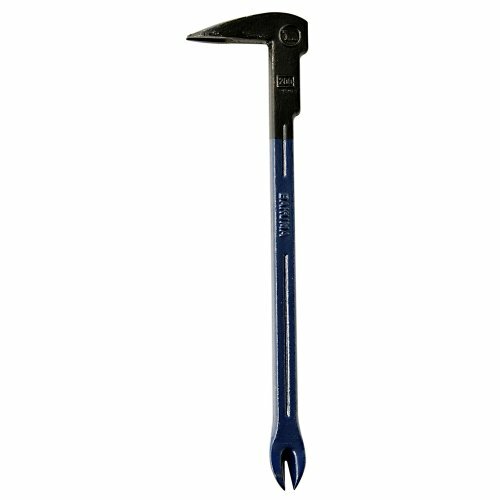 FORGED AND HEAT TREATED HIGH CARBON STEEL - Has the Strength to Grip Into Hardened and Stainless Steel Nails. CORROSION RESISTANT PAINTED FINISH - Quick and Easy Nail Extraction for Roofing, Demolition, Flooring and Framing Etc. OUR staple remover is a real sanity saver. Stainless steel head easily slides under staples and rocker mechanism grips and pulls staple with minimum lateral force, preserving the condition of the underlying wood, and our high quality non-slip handle keeps you safe while working. Safe for furniture and floors with a smooth, flat head and no pliers, screwdriver or other tools are needed for removal. Comfortable poly handle for sure grip and control. Heavy Duty Staple Remover ideal for tough staples. The V20 is a next-generation hand-held pneumatic denailer - designed in the U.S. for versatility to address a wide range of nail sizes and processing needs. It offers features far beyond what is available from others. With the V20, you are not limited by one undersized or over sized driver that only ejects some of the nails it encounters. 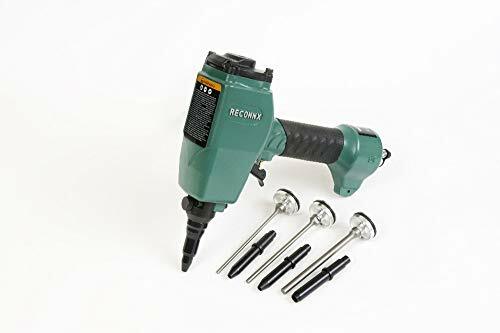 Instead, the V20 provides you the choice of one of four driver sizes, differing only by diameter (4 mm, 5 mm, 6 mm, and 8 mm) -- each specially suited for the project at hand and interchangeable in the same tool. You might choose the 8 mm (V20-80) to remove staples from flooring or spikes from heavy decking, the 6 mm (V20-60) to drive the heads of pallet nails into the stringers so you can lift off a broken deck board and replace it, the 5 mm (V20-50) as the workhorse for your deconstruction crew as it processes lumber, or the 4 mm (V20-40) for nails in sheathing or cleats in flooring, reportedly working up to 10 times faster than by hand - without marring the exposed surfaces. In other denailers, the driver blade extends beyond the end of the nose a fixed distance. In the V20, the extension length is adjustable. You can then set face nails to any desired depth, up to 3/4 of an inch (19mm). You can punch four sizes of holes through light-gage metal. The V20 is designed and built for industrial use 24/7. One customer reported at least 13 tons of nails removed with one V20 in 2013. The V20 is designed to be safe. Even when accidentally left unattended, the spring-loaded nose provides continuous protection from a moving driver blade. The tool is shipped pre-assembled with the selected driver in a plastic carry case with slots for snapping up to 3 driver/nose sets into it. Also included are an Allen wrench and driver bit for changing drivers, one extra driver o-ring, a small oil bottle, a pry bar for releasing a stuck driver, and a 24 page manual in English, Spanish, and French. V20-40: Drive nails out of flooring, plywood, siding, pallet boards. Set heads of finish nails. V20-50: Eject 12d to 30d nails from lumber. Punch nails or holes in tin or sheet metal. V20-60: Drive nails through 3/4 pallet deck boards, sheathing, and siding. Eject large nails. V20 - 3 Driver Set: The complete Nail Kicker package for the widest possible range of nails. This V20 - 3 Driver Set is WITHOUT a carry case. This staple remover is very lightweight and durable, the professional upholstery and office tool used for removing staples from any item. It can help you quickly remove deeply embedded staples in your furniture, drywall, insulation bearing studs, or virtually where-ever else you find them, helping you skip straight to the constructive aspects of your project. A must have for any upholstery job. It will not damage the surface or upholstery. You needn't to waste time in preparation struggling to undo the work that has been done before you! Very easy to use, just insert the probe under staple and use the rocker mechanism to remove it with little effort. Also, the high quality non-slip handle keeps you safe while working. You can buy with confidence! Safe for furniture and floors with a smooth, flat head and no pliers, screwdriver or other tools are needed for removal. Material: TPR green rubber, ABS environmental protection plastic and stainless steel Package included Quantity: 2 pcs Our professional customer service team is ready to solve the after-sales problem for you. Please feel free to purchase it. For any possible defective products, please contact us first. We will do our best to make it right with either a replacement or refund. Hard to bend with whole quenching[Product size] Length : 280mm. Width : 67mm. Height : 20mm. Product Weight : 362g. [Package size] Length : 300mm. Width : 67mm. Height : 20mm. Package Weight : 366g. Made in Japan. Material : S55C. Size : 280mm. Product size (approx. mm) : 280x67x20. BAKUMA INDUSTRIAL CO., LTD is a Japanese company that manufactures and sells housing related products and carpenter tools / tools. It is a company that continues to open up various unique fields by technology and ideas. Founding started from carpenters' field, continued further progress, and earned the trust of many customers. Above all, since the field of housing related products is required to be of high safety and quality, we have aligned most of the operating machinery with our own developed products and thoroughly up-to-date technology and strict product management. We pursue reliable quality, make full use of the ideas and technologies of each employee, and respond to customer's request with an excellent service system. [Resident related products] Ventilation holes / resin registers / fans for pipes / air conditioner mounts / piping makeup covers / various air conditioning members / crosslinked polyethylene pipes / fittings / tomji pipe / hanger rail / PF pipe / inspection port / curtain rail / clothes Hardware etc. [Carpenter tools / tools] Bar / Woodworking saws / Saws (Replacement blade type) / Clamp / Diamond cutter / Precision woodworking cutter etc. [Agricultural cutting blade] Brush cutter saw / Blade cutting blade etc. [Household Daily necessities] energy-saving duct etc. BAKUMA INDUSTRIAL CO., LTD is a Japanese company that manufactures and sells high-quality Japanese-made tools. Quick and easy to remove almost any staple or nail with much less effort. Leverage design for comfortable use, No damage to the surface of upholstery. Super lightweight,durable hardened steel and curved handle. C.S. Osborne Staple Puller Plier. Forged steel. Blued finished. Vinyl handles to add comfort and prevent from slipping. Opening spring. The uniquely design welded pin gives leverage when pulling out the staples and decorative nails. Plastic coated to prevent any damage to furniture. Sharp points with a hook design overlap when closed to pull staples out with ease. Made in USA. 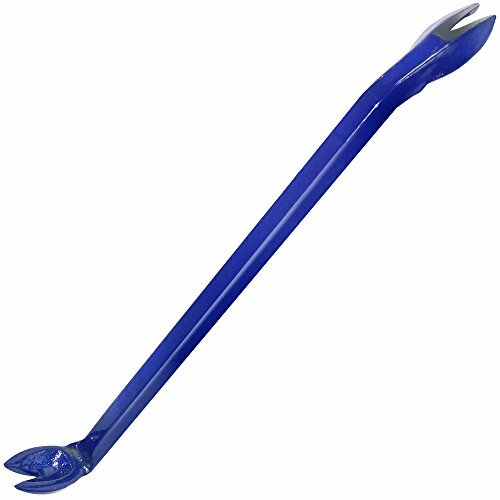 Overall length : 8" Maximum jaw opening : 3/4"
C.S. Osborne Staple Puller Plier. Forged steel. Blued finished. Vinyl handles to add comfort and prevent from slipping. Opening spring. The uniquely design welded pin gives leverage when pulling out the staples and decorative nails. Plastic coated to prevent any damage to furniture. Sharp points with a hook design overlap when closed to pull staples out with ease. Made in USA. Brand: CS Osborne & Co. | Manufacturer: CS Osborne & Co.
Hard to bend with whole quenching[Product size] Length : 300mm. Width : 77mm. Height : 22mm. Product Weight : 510g. [Package size] Length : 320mm. Width : 77mm. Height : 22mm. Package Weight : 516g. Made in Japan. Material : S55C. Size : 300mm. Product size (approx. mm) : 300x77x22. BAKUMA INDUSTRIAL CO., LTD is a Japanese company that manufactures and sells housing related products and carpenter tools / tools. It is a company that continues to open up various unique fields by technology and ideas. Founding started from carpenters' field, continued further progress, and earned the trust of many customers. Above all, since the field of housing related products is required to be of high safety and quality, we have aligned most of the operating machinery with our own developed products and thoroughly up-to-date technology and strict product management. We pursue reliable quality, make full use of the ideas and technologies of each employee, and respond to customer's request with an excellent service system. [Resident related products] Ventilation holes / resin registers / fans for pipes / air conditioner mounts / piping makeup covers / various air conditioning members / crosslinked polyethylene pipes / fittings / tomji pipe / hanger rail / PF pipe / inspection port / curtain rail / clothes Hardware etc. [Carpenter tools / tools] Bar / Woodworking saws / Saws (Replacement blade type) / Clamp / Diamond cutter / Precision woodworking cutter etc. [Agricultural cutting blade] Brush cutter saw / Blade cutting blade etc. [Household Daily necessities] energy-saving duct etc. Hard to bend with whole quenching[Product size] Length : 260mm. Width : 59mm. Height : 17mm. Product Weight : 284g. [Package size] Length : 280mm. Width : 59mm. Height : 17mm. Package Weight : 286g. Made in Japan. Material : S55C. Size : 260mm. Product size (approx. mm) : 260x59x17. BAKUMA INDUSTRIAL CO., LTD is a Japanese company that manufactures and sells housing related products and carpenter tools / tools. It is a company that continues to open up various unique fields by technology and ideas. Founding started from carpenters' field, continued further progress, and earned the trust of many customers. Above all, since the field of housing related products is required to be of high safety and quality, we have aligned most of the operating machinery with our own developed products and thoroughly up-to-date technology and strict product management. We pursue reliable quality, make full use of the ideas and technologies of each employee, and respond to customer's request with an excellent service system. [Resident related products] Ventilation holes / resin registers / fans for pipes / air conditioner mounts / piping makeup covers / various air conditioning members / crosslinked polyethylene pipes / fittings / tomji pipe / hanger rail / PF pipe / inspection port / curtain rail / clothes Hardware etc. [Carpenter tools / tools] Bar / Woodworking saws / Saws (Replacement blade type) / Clamp / Diamond cutter / Precision woodworking cutter etc. [Agricultural cutting blade] Brush cutter saw / Blade cutting blade etc. [Household Daily necessities] energy-saving duct etc.